Heads of state visiting the Netherlands rarely make official visits to the House. Argentina´s President Mauricio Macri along with the Argentinean-born Queen Maxima of the Netherlands visited the Anne Frank House in Amsterdam. During the visit, Argentina signed two cooperation agreements to spread Anne Frank´s lessons to Argentinean young people and to promote dialogue and tolerance. Argentina´s delegation and Queen Maxima were given a guided tour by executive director Ronald Leopold. The Argentine president together with first lady Juliana Awada and several ministers started a two-day official visit to the Netherlands on Monday. After a meeting with the Queen Maxima and King Willem-Alexander, the first activity on the agenda was the visit to Anne Frank House. The cooperation agreements were signed by Leopold from the museum, along with Argentinean Education Minister Esteban Bullrich and Human Rights Secretary Claudio Avruj, a former executive director of the Argentinean Jewish political umbrella organization DAIA. 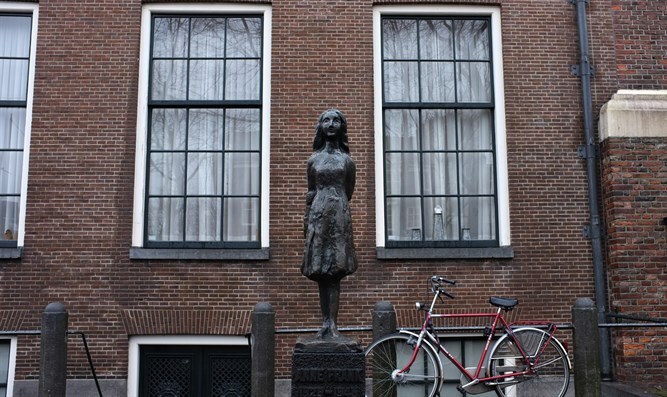 Since 2009 there has been an Anne Frank House and Museum in Argentina. It hosts permanent exhibitions and provides educational activities. The director of the Buenos Aires Anne Frank House and Museum, Hector Shalom, also participated in the presidential visit to Amsterdam´s Anne Frank House.